Looking for movie tickets? 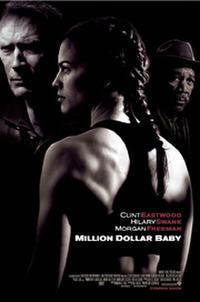 Enter your location to see which movie theaters are playing Million Dollar Baby near you. A former boxer takes a woman who hopes to become a fighter under his wing. Lucia Rijker Billie "The Blue Bear"